What exactly is a cookie-cutter layout? If you have been designing websites for any length of time, you have likely run into this terminology. In most cases it is a term used to describe predesigned web templates. Generally, the person using this terminology is promoting their own product or service and is trying to sway your intuitive logic toward a mind-set that will benefit them even when it isn’t to your advantage. What do I mean? If you are up for a challenge, I’ll give you one that will blow the lid off the cookie jar in regard to the term “cookie-cutter” layouts. Hey, someone has to tell the truth, so why not us? What’s left? Well, if you said HTML code, you would be right. Web page layouts are in fact just HTML code. They are the structure of your web page’s design. Everything else within a web page is simply cosmetic (graphics/css) or interactivity functions (scripts). The truth is that regardless of whether you use a predesigned web template or develop your own design from scratch, there are only so many ways to effectively layout your web page’s structure, no matter how you slice or dice it. Try this challenge on a dozen or so websites and you will find that you are left with mostly HTML tables that may or may not be nested and all of them are very similar. So are your ready for the truth? The truth is that ALL web sites’ layouts are indeed cookie-cutter (if you want to use that terminology) regardless of whether you start with a web template or create your own website from scratch. But then your intuitive logic already told you that, right? You also likely saw through the transparent marketing technique of those who tout against the use of web templates. If you try this challenge and you are not left with pure HTML code, then the structure of the web site you analyzed is likely not effective for a diverse group of traffic. An example would be a site that was designed with pure CSS. For more information about pure CSS, read our article, “Should you Use CSS-P (Table-Less Layouts) on Your Web Site?“. If you didn’t know this, don’t fret. Now you know the truth and as Paul Harvey would say, “… the rest of the story.” So now what? As a web designer or a webmaster, you really only have three logical choices. 1. 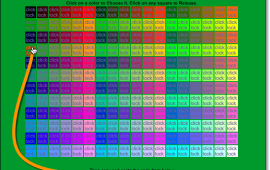 You can develop your own HTML layouts with graphics and spend many hours doing it. 2. You can purchase web templates that are basic (BasicTemplates.com) and which were built correctly with External Cascading Style Sheets and which many have the ability to swap out graphics, if you wish. This saves you tons of time which in turn saves you money. BasicTemplates designs can merely be a time-saving starting point or your site’s entire, final design. 3. You can purchase web templates that box you in to using one design layout at a high-end price. What do I mean? BasicTemplates.com is currently the ONLY web template design site that provides designs utilizing external CSS and swap-out capabilities. These concepts quickly enable you to change your website’s cosmetics (colors/fonts/graphics/etc) within seconds to change your site’s theme or appearance at either no additional cost to you or for a small fee (if you purchase our graphics packages). BasicTemplates were strategically designed in this manner from the first day we developed our designs. Therefore, we were thinking outside of the design box and giving YOU the design freedom you deserve at a fee affordable to everyone regardless of your country of origin. Is this article just another marketing sales pitch? Yes and no. Yes, because we are only once again explaining the sheer advantage of using a BasicTemplates.com design which could be defined by the perspective of some folks as a marketing tactic. No, because intuitively you already knew that the “cookie-cutter” terminology you may have read about defies web technology logic.